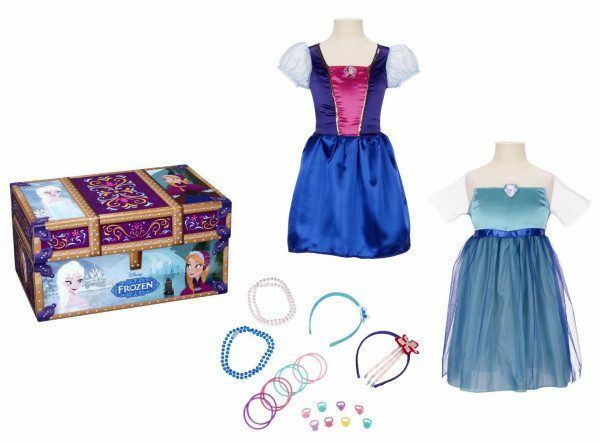 Frozen Travel Dress-Up Trunk Only $24.99! You are here: Home / Great Deals / Amazon Deals / Frozen Travel Dress-Up Trunk Only $24.99! If you’ve been wanting to get your daughter a dress from the movie Frozen, I have a HOT deal for you! Right now, you can get the Frozen Travel Dress-Up Trunk for just $24.99! And, shipping is FREE with Amazon Prime or Super Saver Shipping! This is a fabulous price because it includes both Anna AND Elsa dresses (which retail for $20 each right now on Amazon) PLUS you’ll get 2 headbands and several pieces of jewelry! I wish I had seen this before I bought my daughter’s Elsa dress – this would have been a MUCH better deal!